Anyone who uses muirburn to manage vegetation for grazing of domestic livestock or deer. In grassland, to remove old or dead grasses, encourage new growth, and create a varied structure. Burning can be used to provide an “early bite”. 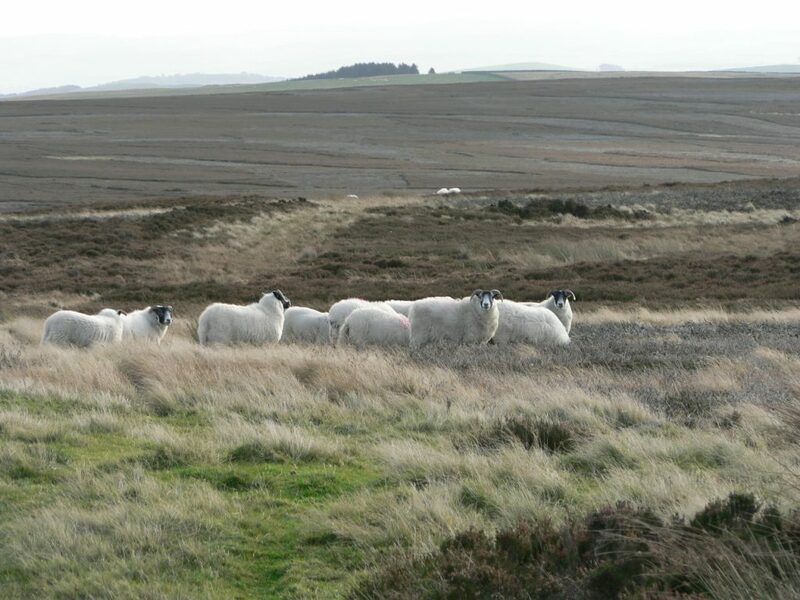 In heather moorland, to encourage regeneration of young heather, and to create a mix of patches of different age and structure to provide a balance between feeding and shelter. Burning or cutting may also provide improved access for stock amongst taller vegetation to areas that can be grazed. Burning should not be used in an attempt to eliminate heather and replace it with grassland, either where heather is dominant or where there is a grass-heather mixture. This usually produces grasslands of low forage and biodiversity value. Carrying out muirburn too frequently damages heather and blaeberry, which provide winter feed. It results in poor quality grassland (for example Purple moor-grass Molinia caerulea), and a loss of winter grazing and biodiversity. The minimum recommended muirburn frequency in grassland ranges from four to ten years, depending on growing conditions and the type of grassland. In heather-dominated vegetation, muirburn frequency should be determined by the rate of growth of the heather, and should not take place until the heather is 20-30cm tall. In the most productive situations, this will take at least 8 years and it may take much longer in other areas. Fires should not be bigger than can be controlled by the available people and equipment. Large fires burn indiscriminately, including areas that are suitable for burning and those that are not. Large fires carried out without due care are a significant cause of wildfire. Large fires are less likely to create the mosaic of habitats and vegetation ages that provide forage through the year and increase the biodiversity value. Fires in excess of 50m wide can be difficult to control. Grass fires have a fast rate of spread and react quickly to changes in wind direction or wind speed. Grass fires can breach firebreaks through direct heat transfer, flying embers (spotting) or by creeping across short vegetation. Dead grass is a fine fuel that can dry out quickly, often in less than one hour, and this can lead to significant increases in the rate of spread and fire intensity. Insufficient preparation of firebreaks, staff or equipment creates a significant risk of wildfires. Fires of this type can destroy large areas. Burning in a small area, in a single year, may result in a ‘honeypot effect’, causing local overgrazing and poaching. Greater short-term grazing capacity for domestic stock and deer. Fires can be used to distribute grazing more widely, to encourage movement through areas avoided by livestock, or to attract deer to specific areas.